I'm a little late on my Techie Thursday but was so excited about this find that I couldn't wait until next week. So without further adieu here it is. Have you heard of AppsGoneFree? This awesome little app gives you a DAILY list of what paid apps are on special for FREE! Unlike AppGratis or other ones of it's kind, AppsGoneFree will list more than one app. As of today, there were 11 apps that were listed for free. You can also look at past dates and see what apps were free and if they are still available for free, you find that out as well. 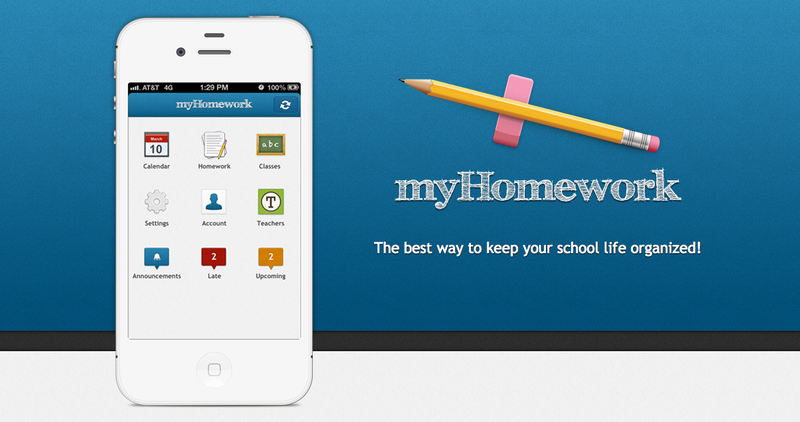 The apps range from educational to art to productivity. For example, today I was able to download Fiete, which is an interactive picture book that helps children work on their fine motor skills. Perfect for my 19 month old WHO loves fooling around with the iPad. 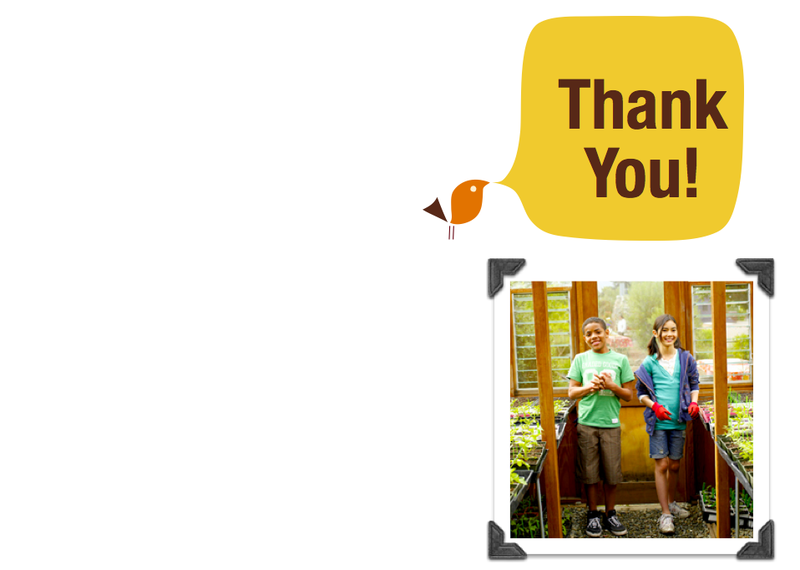 For my students in 5th grade, I downloaded Mozaikr, which will allow them to create mosaics from their photos. This should be fun to use in art class - not quite sure what I'll do with it but hey I couldn't pass it up. It's definitely worth having the notifications sent to you on a daily basis as you never know what will come up. Have you ever heard of Apps Gone Free? What is the best paid App you ever got for free? What app do you think I should be on the look out for? Last year around Easter I did an activity with my students in which they had to solve riddles that would lead them to an activity they had to complete. The riddles would bring them to another part of the school (usually another teacher) and they would receive a plastic egg that would either contain the activity or would contain the name of the activity and they would get the sheet they needed from me when they returned. Once they complete it and I checked it over, I would give them another riddle and off they would go. The winning team was that who solved all the riddles first and completed all the activities correctly. My students absolutely LOVED it! However, since this year I'll actually be on maternity leave during Easter (only 3 more weeks before my due date!!!) I wanted to do something similar with my current class. 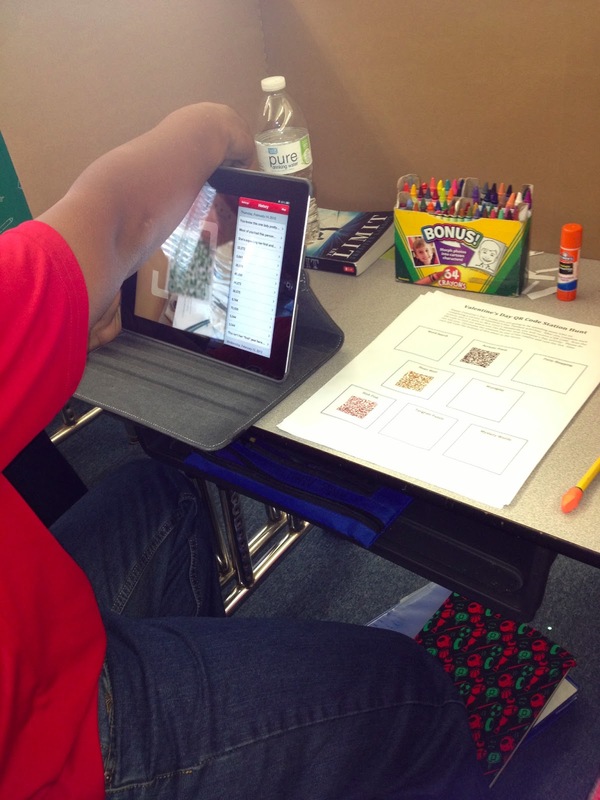 And of course, since we are addicted to QR Codes in my classroom right now, I knew I wanted to involve those as well. 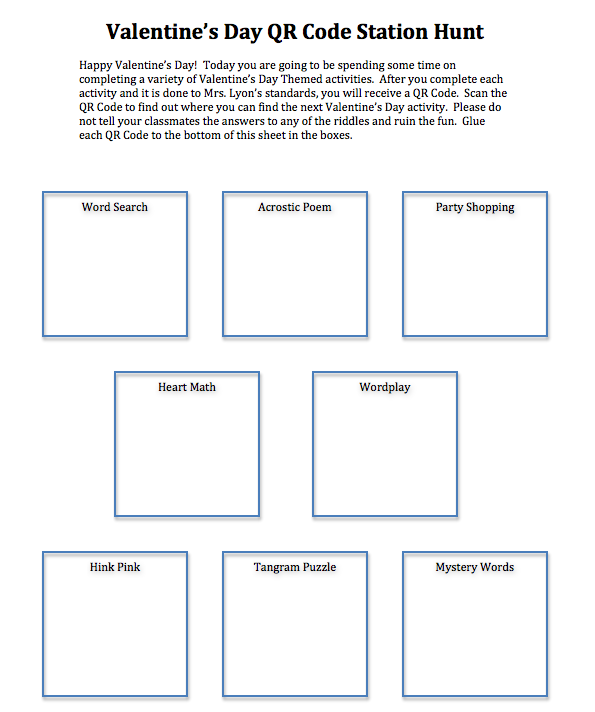 So, in honor of Valentine's Day my students completed The Valentine's Day QR Code Hunt. I started the hunt out by giving my students the following sheet. It explained what they would be doing, gave them a hint as to what the activities were and finally a place to put the QR Codes after they had solved each riddle. This also helped me because when a student completed an activity, they would bring it up to me, I would QUICKLY check it and if all was done to my expectations, I would give them a new QR Code. I could easily scan what QR Codes they had already been given because they were all in different colors. This allowed me to randomly hand out the QR Codes so my students weren't all going to the same teacher at the same time. Now regarding the activities that the students were completing they all contained the same theme of Valentine's Day. I mixed together puzzles with math and language arts. And the best part about all of them - they were FREE!! (Not signed up for TpT??? - what are you waiting for - click here to do so now and find out what you've been missing!) I was able to download all the activities off Teachers Pay Teachers without spending a dime. However, I did make sure that I went back and left feedback thanking each of the teachers for putting in their time and effort in creating the products and listing them for free. Here is a list of the activities I used. This type of hunt could be done at anytime of the year or for any holiday. It took me less than 20 minutes to get it all set-up (as a matter of fact I did it that morning). It kept the students engaged for a couple of hours while still having them learn. A win-win for us all in my book! What did you do for Valentine's Day? Have you ever done a hunt like this before with your kids? 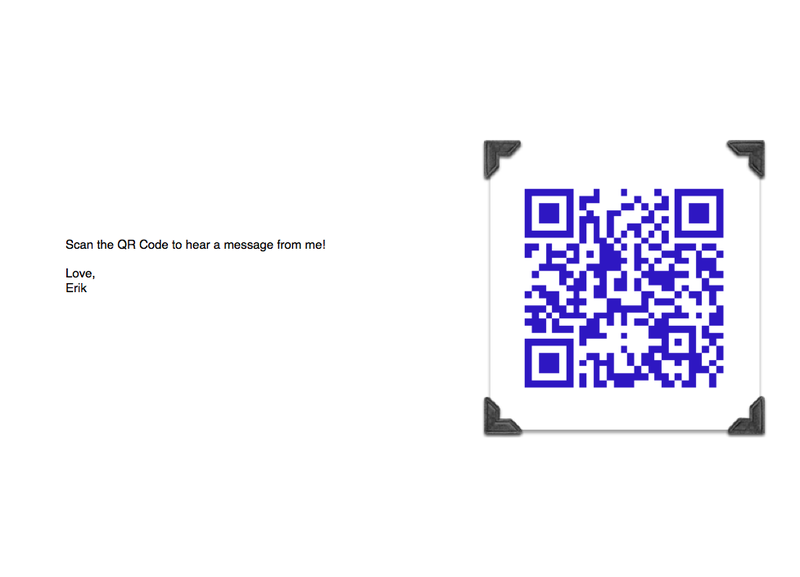 Check out more QR Code activities here - my collection of Task Cards. 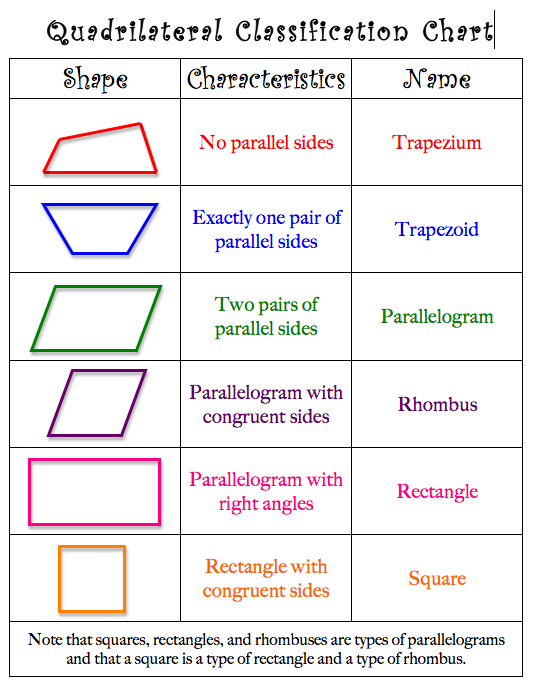 In math class my students are learning how to identify different types of quadrilaterals and the characteristics that make them all up. In order to assist them, I created this little handout which they put in their math notebook so they have an easy reference. 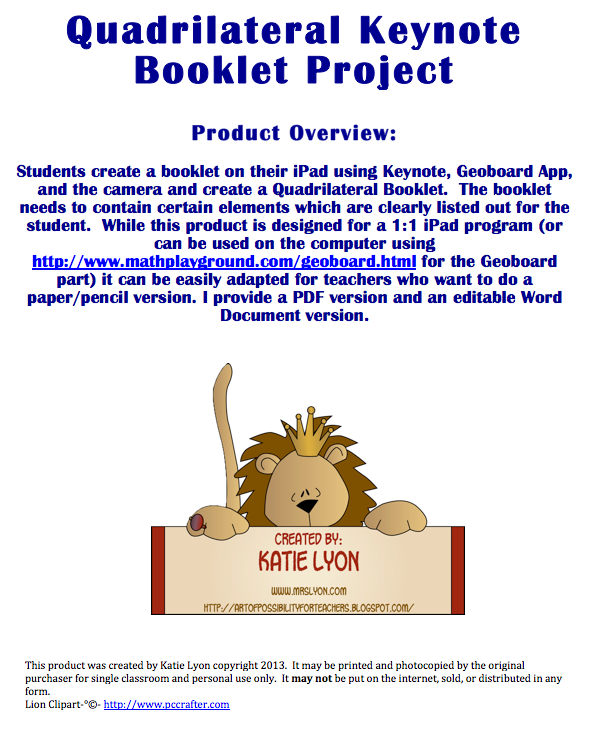 Since we have the iPads, I also created a little Quadrilateral booklet project for them to work on. 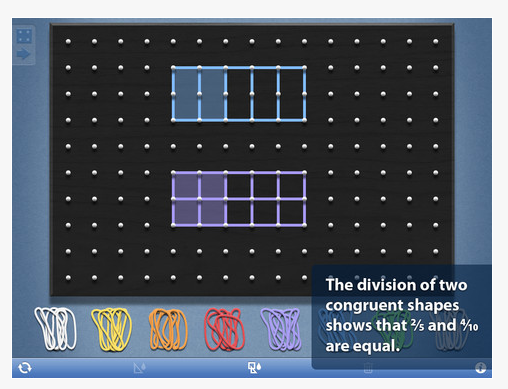 The project requires the students to create the shapes using the Geoboard app AND be able to identify these shapes in real life and explain how they are use. The students were thrilled to be able to play with the Geoboard app as we've had it on our iPads for sometime but never used it. 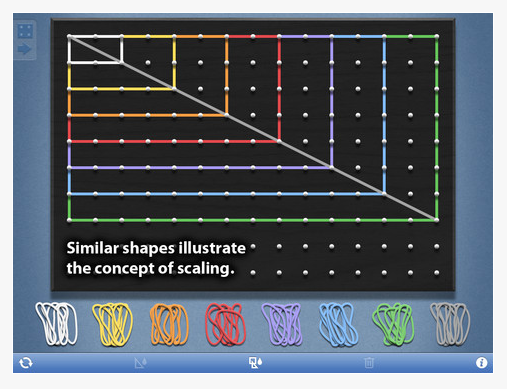 Just like if they were using real Geoboards, they have the ability to pick different color rubber bands but unlike the real Geoboards they can also fill in their shapes. Best part about this app......it's FREE! The possibilities for using it are practically endless! Students can represents fractions, figure out area and perimeter, and so on. It's really easy to use too. A win win all around. You can get a copy of both my free handout and booklet project at my store. Hopefully your students will enjoy it as much as mine are! 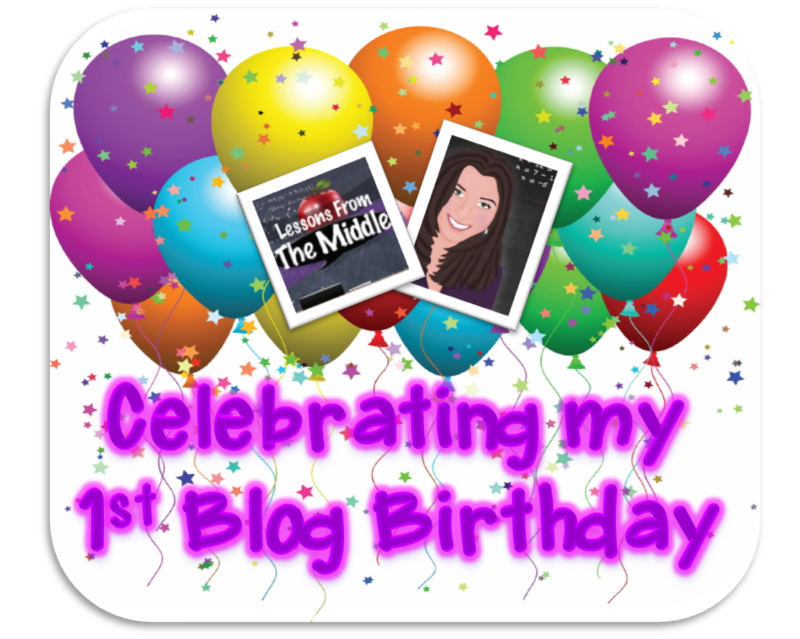 Also, in case you haven't heard or seen it already, my friend, Krystal Mills, over at Lessons from the Middle is having her First Bloggy Birthday! A bunch of us fellow bloggers got together and donated TONS of products for her to give away ranging in all grade levels. Head over and enter to win some awesome prize packs whose total worth IS $500! This upcoming Sunday is going to be packed with three of my favorite things! Food (especially that I'm almost 9 months pregnant! 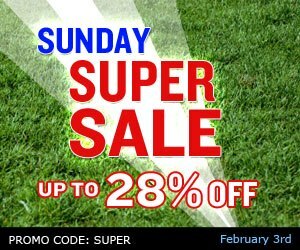 ), Football and an AMAZING SALE! And guess what, my entire store will be 28% off!! Just use the promotion code "Super" when checking out. If you haven't visited my store in awhile, be sure to check out all the new things I've been creating and listing. I have tons of QR Math Task Codes ranging from identifying the states all the way to converting improper fractions to mixed numbers. Additionally, I have a bundle pack of telling time QR codes. And I plan on adding more before Sunday! What would you like to see? Also, I have tons of resource posters available for your classroom ranging from Reading Strategies to Math Keywords. Be sure to check it all out on Sunday! Can't wait till Sunday??? My store will be 20% off beginning on Saturday. Enjoy!